The Maelor School and Madras Primary School are working together to raise funds to purchase two defibrillators for the schools. 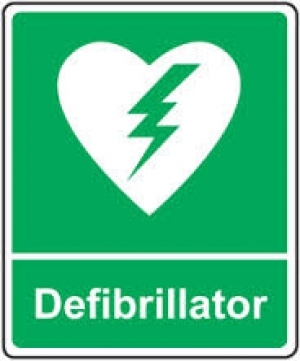 All schools are being encouraged to have one defribrillator on site for those rare occasions when it is needed and could save a child's life. Each costs £900 each and the schools are planning fundraising activities during the next term to raise as much as they can. Members of the local community are hoping to support them in their efforts. The first fundraising event will be a Non Uniform day in both schools on Friday 22 April 2016. Pupils will donate £1 and wear an item of clothing that is red. Later on in the summer term they are also planning to hold a sports tournament with mixed teams involving pupils from Year 5, 6 and 7. Keep a look out for more information about this and other activities at both schools! If parents, carers or supporters of the school would like to make a donation they can do so by sending a cheque made payable to The Maelor School. Please send in for the attention of Mrs Audrey Stewart (Community Officer), The Maelor School, Penley, Wrexham LL13 0LU. All donations are very gratefully received.